What is a talent and learning consultant? I advise DVLA teams of opportunities that will develop the skills and nurture the talent that we need to reach our objectives. Part of this is helping to shape apprenticeship opportunities at DVLA. 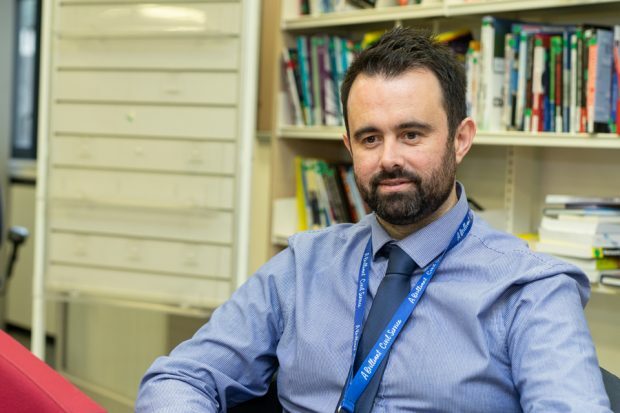 I’ve been involved in apprenticeship programmes for many years and I was excited to bring this experience to my role when I started at DVLA just 3 months ago. There’s quite a lot of myth busting to do when talking about apprenticeships. Many still think that these are mainly for school leavers who want to earn while they learn - a trade for example. In reality, apprenticeships are great opportunities to develop new skills whilst already in a role. DVLA offers the perfect platform for this. The career opportunities in DVLA are endless. There are so many different occupations, professions and skill sets. These include roles in customer service, IT, finance, communications, commercial, drivers medical, policy and more. Why do we have apprenticeships at DVLA? They support our staff with their personal development and meet the needs of our work, both now and in the future. With so many roles and skills, it’s really important that my team and I understand the specific skills needed for each one and decide how to plug any gaps. An apprenticeship helps to do just that. It requires commitment from the business area and the apprentice. Contrary to popular belief, our apprentices include experienced professionals who are committed to their development. As a new starter, it’s been really interesting discussing apprenticeship opportunities with a range of teams and departments, and finding out what might be the best fit for them. At the same time trying to find my way around an organisation housing almost 6,000 staff! I’m currently working with some of our senior managers to improve apprenticeships even further by aligning them closer to all our professions. The idea is to make the overall experience more relevant and beneficial to all parties – both the apprentices themselves, and DVLA. We’ll roll it out, have a look how it works and refine it as we go along to make it the very best it can be. It’s certainly an exciting time. We’re looking forward to launching these new opportunities and continuing our commitment to develop our staff. DVLA is already enjoying great success with apprenticeships so my challenge is to make sure we maintain and exceed this! You can read more about what it’s like to work at DVLA. You can also take a look at our latest vacancies on Civil Service jobs. Follow DVLA on Twitter, Facebook and LinkedIn and subscribe to our DVLA digital services blog.